This shirt is made from 100% cotton, and is in khaki. 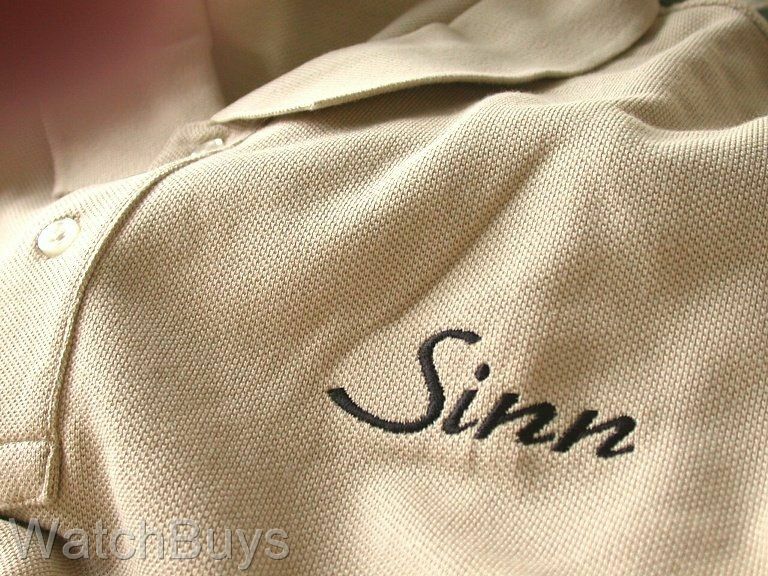 The size is L (large), and the Sinn stitching is in black. Please note that this shirt is not eligible for return. This shirt is made by Land's End.